Video: AppleTV Gen 3 claims to support H.264 video bitrates of up to 25Mbits. My findings: While it has no problem playing back videos with bitrates up to 40Mbits (even encoded with the ffmpeg’s highest quality setting of -crf 1), the buffering of the iTunes Home Sharing stream wasn’t adequate and the buffer was being exhausted every minute or so of the playback making it unwatchable. 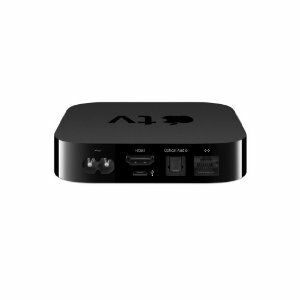 Audio: AppleTV Gen 3 claims to support AAC stereo bitrates of up to 160Kbits. Suspiciously low, isn’t it? My findings: AAC 5.1 (6 channels) audio plays back ok on my TV at 640Kbits. AppleTV is just passing through the unencoded audio to the TV via HDMI, and TV is down-converting the audio to 2-channel stereo mode. 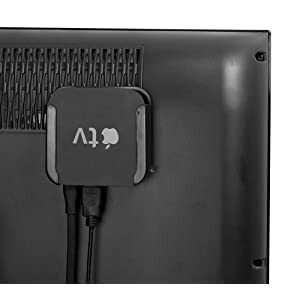 If you own the AppleTV, you’ve probably thought about the possibility of mounting the AppleTV vertically on the back of the TV or the wall behind it to hide the AppleTV and to reduce the cable clutter on your stand. I’ve personally tried mounting it with some double-sided adhesive tape, but without much luck – the warmth of the TV case and the AppleTV itself promptly weakened the adhesive, and the box fell off in about 30 minutes after the initial “yay, I’ve saved some money”. Eventually I’ve found a commercial and universal solution for for this problem: Innovelis’s TotalMount – Apple TV Universal Mounting Kit. Costing $18.99, it’s well worth the price, as it allows for both wall and TV mounting.